The base is covered in cream satin and decorated with a teal and green satin sash, rhinestone ornament and two peacock feathers. The ornament combines light blue rhinestones with one central dark blue rhinestone and a series of tiny green rhinestones. 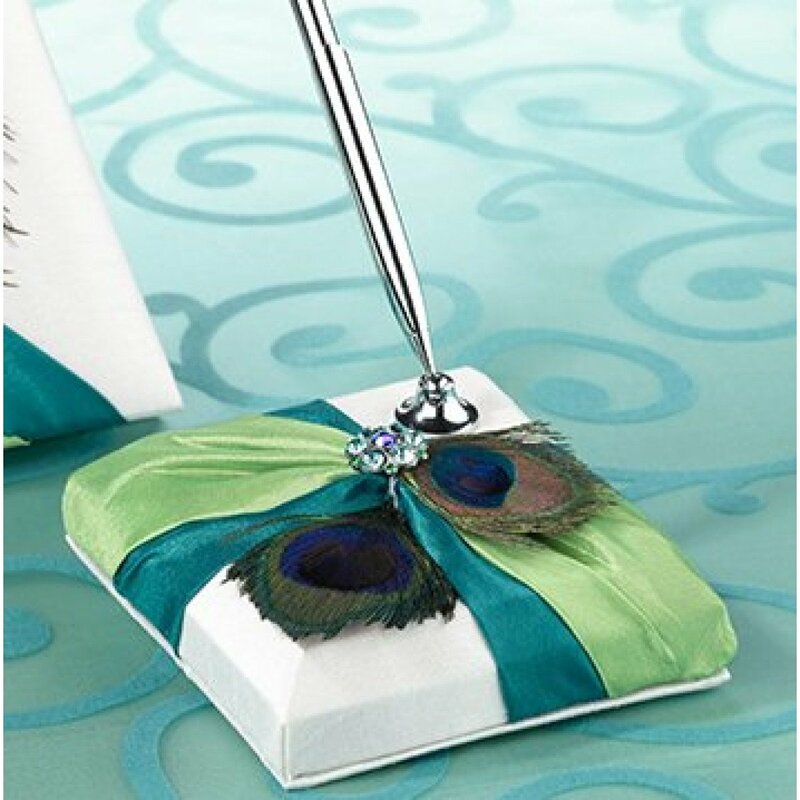 A matching guest book is sold separately. This pen set includes a silver pen with black ink and a 3.75" x 3.75" pen base.